2006 – Dr Elizabeth Hepburn IBVM took up the position of Principal at the beginning of the year. 2006 – At the Council meeting of 18 May, Josephine Heesh informed Council of the death of Miss Aline Fenwick OBE, former Chairman of Council. 2006 – This year marked the 80th anniversary of Sancta Sophia College. 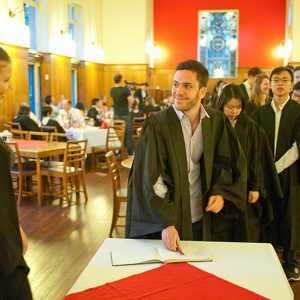 Several events were planned to celebrate this anniversary, including Champagne in the Quad, an anniversary dinner on 18 November, and an ex-students’ Mass on 26 November. 2006 – At the Council meeting of 21 September, Monsignor Mullins presented to the College a beautiful framed photo of His Holiness Pope Benedict XVI with the inscription: “The Holy Father Benedict XVI cordially imparts the requested Apostolic Blessing to Elizabeth Hepburn IBV Principal, the Members of the College Council and Staff and Students of Sancta Sophia College on the occasion of the 80th Anniversary of the College Foundation”. 2006 – At the same meeting, Council noted the death of The Honourable John Cahill, who had been Chairman of Council in the 1970s. 2007 – In her report to Council of August, Dr Hepburn recorded her thanks to Council for their support during her time as Principal, which was being cut short as she was required to return to Melbourne in 2008, to meet a need of the Institute of the Blessed Virgin Mary. 2008 – Dr Marie Leech commenced as Principal on 17 January. She was welcomed to her first Council meeting on 6 March. 2008 – At the Council meeting of 6 March, Dr Leech advised that she had received a message from Sister Anne McGrath rscj advising that Sr Marie Kennedy rscj was not well enough to continue as the College Archivist. An afternoon tea was held for Sr Marie Kennedy in appreciation of her work at Sancta. It would be two years before any further work was undertaken on the Archives. In May 2010, Louise Trott an alumna and professional archivist agreed to work on the Archives on weekends when time permitted. 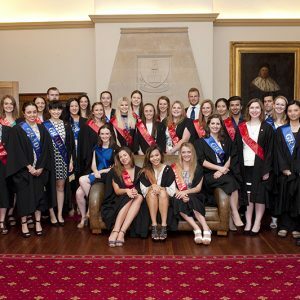 2008 – Her Excellency, Professor Marie Bashir was the Guest of Honour at an Academic Dinner held on 31 March. 2008 – The Council minutes of 22 May record that an inclinator was installed on the steps leading from the Lower Common Room to the Dining Room, thanks to the generosity of Miss Trish Horsley. A simple ceremony of thanks was held prior to the Council meeting on 7 August. 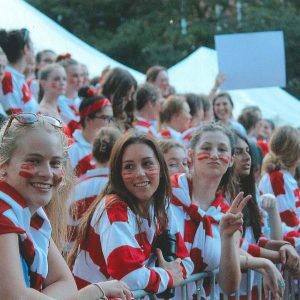 2008 – At its meeting on 7 August, Council heard that the highlight of the July conference period was the wonderful engagement with World Youth Day, which included the hosting of the 70 members of the International Liturgy Group, the 14 members of Fr Louis-Marie’s group of French students from Toulouse. 2008 – At the Council meeting of 22 November, Josephine Heesh advised Council that she felt it was time for her to step down as Chair of the Council, although she was prepared to stay as a Council member. Ms Rachel Launders agreed to act as an interim Chair for a maximum of two years. 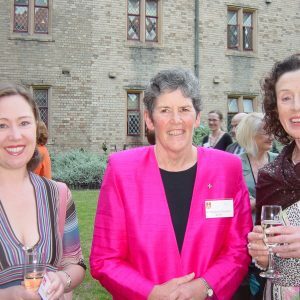 A succession committee consisting of Josephine Heesh, Rachel Launders and Dr Marie Leech was established to identify potential candidates for the role of Chairman of Council. 2009 – The Council minutes of 7 March note the recent death of Lady Black, one of the inaugural Fellows of Sancta Sophia College. Dr Kelly and Mr Sheldon represented the College at the memorial service in the Great Hall. 2009 – A special meeting of Council was held on 2 June, to discuss issues relating to the future direction and governance of the College, including scholarships/ fundraising; the Sancta Sophia Alumnae/Foundation; Sancta Sophia in 2020; Council membership and succession; and a review of the by-laws and committee structure. 2010 – In her report to Council of August, the Principal reported that a restructure of a number of areas was proposed for 2011, partly addressing the largely part-time staffing structure which was challenging both for staff members and outcomes for the College. Among the intersecting issues regarding staffing for 2011 and beyond to be addressed were staff salaries and changes in staff structure, including the appointment of a fulltime Vice-Principal. 2010 – At its meeting in September, Council resolved, by a majority vote, to approve a recommendation to outsource catering to Sodexo with effect from 1 January 2011. 2010 – At the Council meeting in October representatives of Farrell Coyne (project managers) and Nettleton Tribe (architects) gave a presentation on the draft master plan for the College site, including potential room sizes and accommodation on offer. In addition, a working draft of the financial model, was tabled. 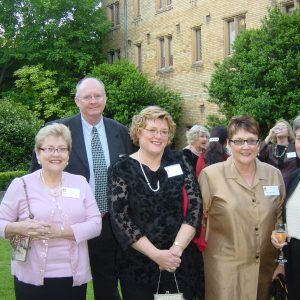 2010 – On 2 December, Council resolved to appoint Dr Margaret Bermingham, Mr John Sheldon and Miss Patricia Horsley as Fellows of Sancta Sophia College. 2011 – The minutes of the College Council meeting of 19 August note that the development application for the new student accommodation wing had been approved with a condition for a site audit to be satisfied within 12 months. 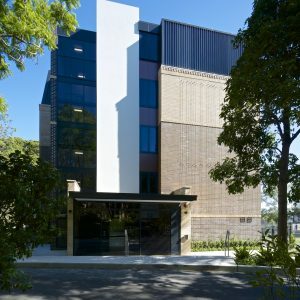 The original approval condition requiring the site only to be used for student accommodation had been removed by the City of Sydney Council. 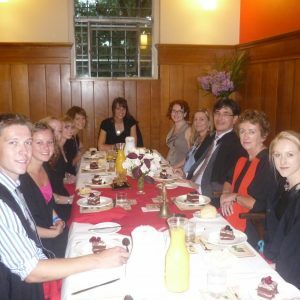 2011 – The College Council resolved, at its meeting on 1 December, to offer Baroness Gardner of Parkes and Dr Susan Kelly fellowship of the College. It further resolved to name a prize for individual achievement after Mother Yvonne Swift. 2013 – Sister Patricia Toohey rscj, who had been Principal of Sancta Sophia College 1979-83, died 21 January. 2013 – Students from the Managing Historical Documents short course undertook a practicum at Sancta Sophia College, working to arrange, describe and list the College Archives. From this project came a recommendation that the College appoint an Archivist on an on-going basis. Tracy Bradford joined as the College Archivist in late 2015, through the support of Patricia Horsley. 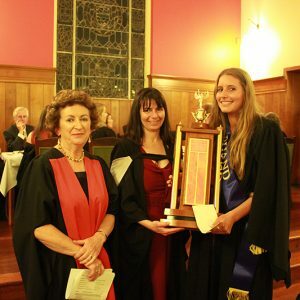 2013 – Council noted at its meeting on 29 August that a number of nominees for the inaugural Alumni Awards had been proposed, being: Dr Helen Beange AM, Victoria Robensohn and Alison Stephen. 2014 – The College’s new building, Graduate House, comprising 128 ensuite rooms, was completed and welcomed its first residents, in early 2014. 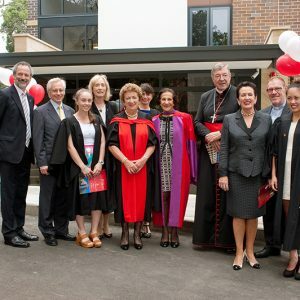 The official opening was attended by over 70 people, including the Governor of NSW, the Lord Mayor of Sydney, the Chancellor of the University of Sydney, and the Cardinal. 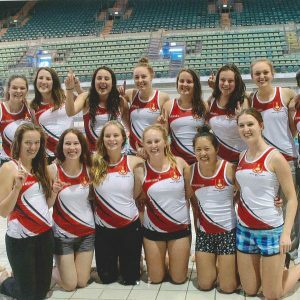 2014 – The Swimming and Diving team took out the Rosebowl Competition in 2014 and 2015. 2014 – The Mother Yvonne Swift Bequest Society was launched on 17 September. 2014 – In her report to Council of September, the Principal advised that negotiations had been held with external company called Hotel Space to manage all bookings and onsite logistics for casual accommodation during the summer vacation periods. 2014 – After much discussion over many years, and in consultation with a descendant of John Lane Mullins, Council resolved at its meeting of 4 December to sell the John Lane Mullins Collection through Australian Book Auctions, with the exception of some items which reflect the College, which would be retained. The funds were to be directed to the John Lane Mullins Scholarship to be launched in 2017. 2015 – Josephine Heesh was elected unopposed to the position of Chair of Council on 5 March, replacing Rachel Launders who stood down from Council at the meeting of 4 December 2014. In accepting the position, Ms Heesh advised she was only accepting a 12 month appointment and that consideration needed to be given for succession beyond that time. She was succeeded as Chair of Council by Cathleen Crossley. Elizabeth Hepburn was born in Melbourne and educated at Methodist Ladies’ College Kew. She completed her primary teacher’s training at Burwood Teachers’ College, BSc (hons) at Monash University, MEd at the University of Melbourne and a PhD in Pharmacology at Monash University. In 1981 she joined the Loreto Sisters and taught in Loreto schools; teaching at Loreto Normanhurst and Principal of Our Lady of Mount Carmel primary school in Brisbane. She was appointed to a research position at Griffith University in Brisbane but within a year was recalled to Melbourne to establish a Bioethics Centre at the Australian Catholic University. She became Dean of the University of Melbourne’s St. Mary’s College and taught ethics and pharmacology to nursing students. Sr. Elizabeth completed a BTheol at the United Faculty of Theology and MA in philosophy and bioethics at Georgetown University, Washington. 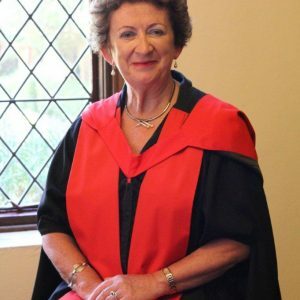 In 1995 she was appointed Director of the Queensland Bioethics Centre, in 2005 Principal of Sancta Sophia College and in 2007 – 2014 Principal of the University of Melbourne’s St. Mary’s College. She is a leading voice in bioethics and the author of various books and articles on psychology, pharmacology and bioethics, including ‘of Life and Death: An Australian Guide to Catholic Bioethics’. 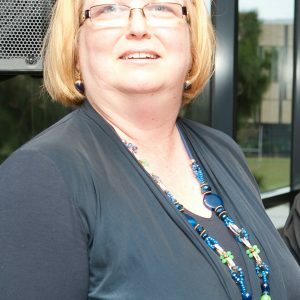 Dr Marie Leech began in her role as Principal, Sancta Sophia College in January 2008. She has a PhD in Social Policy from the University of Sydney and a Master’s of Science and Society from the University of New South Wales. Before coming to Sancta she was the General Manager, Community Services, at Mission Australia. 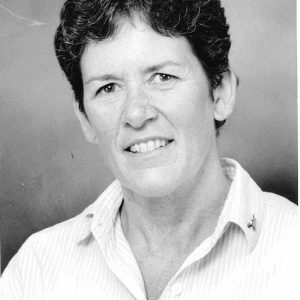 Prior to her career in social policy and research, Dr Leech taught senior chemistry and biology at Kincoppal Rose Bay and was an educator at TAFE and university levels. Her business achievements were recognised as a NSW Finalist in the 2005 Telstra Business Women’s Awards. Amongst her various Board roles, Dr Leech is a member of the Executive of University Colleges Australia (UCA) and Chair of the Mental Wellbeing committee of Healthy Sydney University. 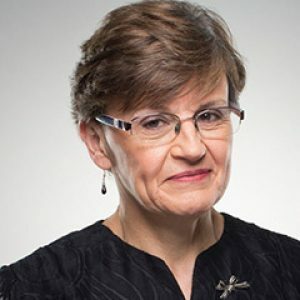 Her voluntary work has included the development of strategies to provide access to education for disadvantaged girls and women, especially Aboriginal women. Dr Leech guided the expansion of the College through the opening of Graduate House in March 2014. Josephine is the eldest of five children of John and Helen Heesh and grew up in Leura. She attended the local primary and high schools, with the exception of the first year of high school, when she went to Kincoppal, Elizabeth Bay, where her mother had attended. Through a family friendship Josephine met Mother Yvonne Swift when she was in primary school and she heard about Sancta Sophia College. 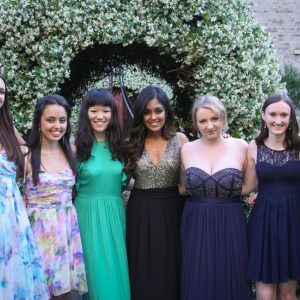 Josephine was determined to attend University of Sydney, and was motivated by a strong desire to live at Sancta. She initially enrolled to study Arts, but switched to Arts Law after one year, and she thoroughly enjoyed her legal studies. After graduation, Josephine joined Freehill Hollingdale & Page Solicitors, is now a partner in Carroll & O’Dea. Sancta has been a significant part of her life. From being a full time student resident, 1974 – 1977, then resident Vice Principal, 1984-85 (a part time position whilst she worked full time at legal practice) and then member of College Council, 1995-2016 (Chair from 2000 to 2008 and 2015) working on the Finance Committee, Building Committee during her tenure on Council, as well as being member of the Sancta Ex students Committee from 1997-1999. 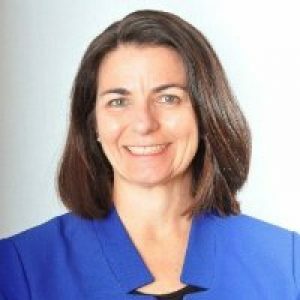 Josephine has also dedicated her time to other pro bono boards including 1990-94 Kincoppal-Rose Bay School Board; 1995-2000 Catholic Weekly Board. Josephine has been, and remains, an outstanding supporter and contributor to the College. 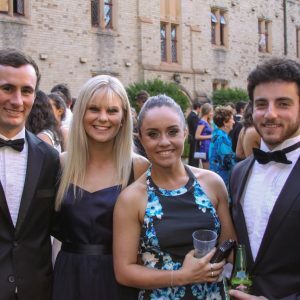 After graduating BA LLB (Hons) from the University of Sydney, Rachel Launders worked as a researcher in the Supreme Court of NSW for 18 months. Seeking some corporate law experience, she worked at ASIC where she had the opportunity to work on a number of significant corporate transactions which were being implemented under the Corporations Act. She joined Gilbert + Tobin in 1998, where she remained for 16 years before joining the Nine Entertainment Network as General Counsel and Company Secretary. Rachel was welcomed to her first meeting of the Sancta Sophia College Council on 10 March 2005. She remained on Council until 2014, including a period as Chairman during which a major expansion of the College took place with the completion of Graduate House in March 2014. Rachel is a major donor of the College through her support for the JT Clark scholarship. Cathleen attended Sancta Sophia College from 1979-84 and studied Science/Economics at the University of Sydney. She is a chartered accountant and is Principal at Pitcher Partners Sydney. Whilst at College, she was the Senior representative and Assistant Treasurer. In 1993, Cathleen accepted a position on the College Council, which she continues to hold. Cathleen took on the role of Chair of Council in 2016 and is Chair of the Finance Committee offering outstanding dedication and attention to the role. She is unfailingly accurate and timely in her work and team commitment on the Council. Cathleen is also a Director of Sancta Sophia Building Limited and played a significant role in the planning, financing and development of Graduate House which opened in 2014.